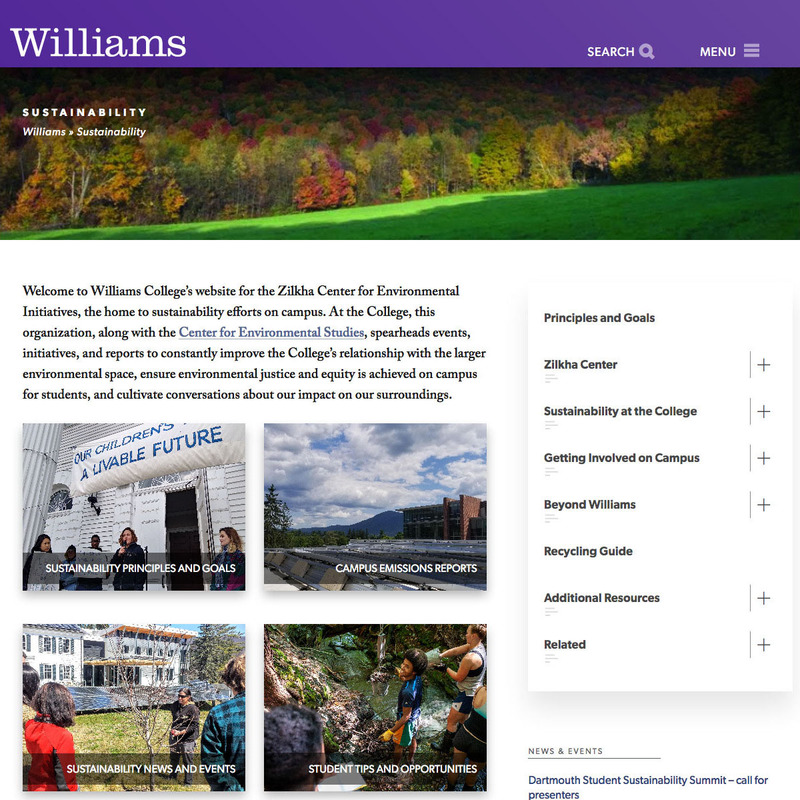 The Williams website design (also known as a “theme”) is built to showcase college and department content, look good on screens of all sizes, be accessible to all visitors, and be easy to navigate. The web team designed and built the new theme based on feedback from the college community with an eye toward the latest web development best practices. 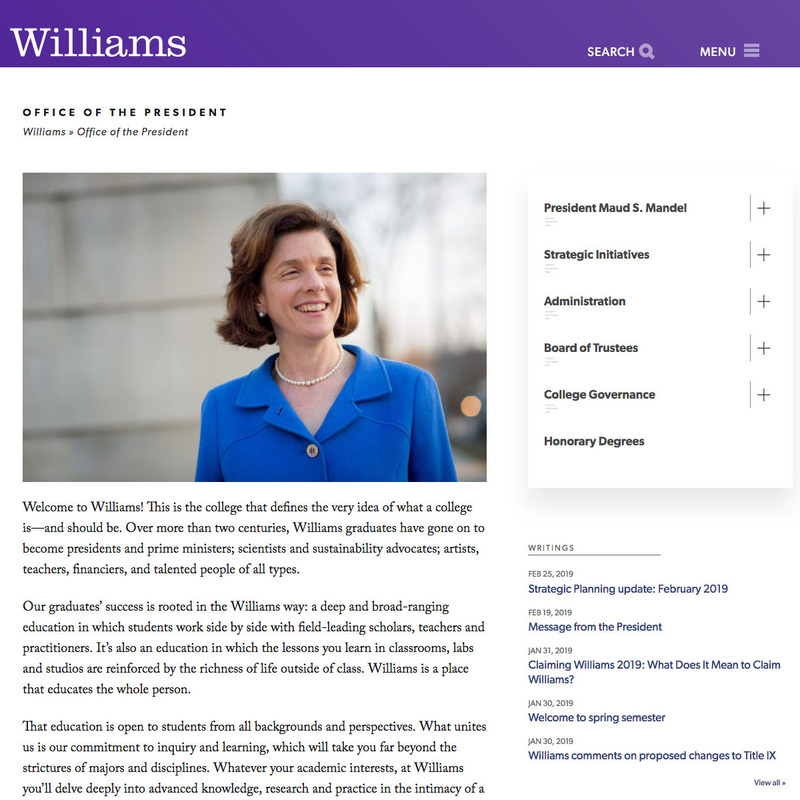 The design and typography have evolved significantly compared to older themes, and we have added a number of new layout options for department homepages — see examples in the gallery below. Just as significant, however, are the structural differences between the new theme and its predecessor. 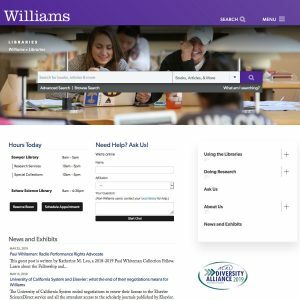 The biggest change is in the navigation: There is now a college-wide menu at the top of each page and department-level navigation has been consolidated in the sidebar. 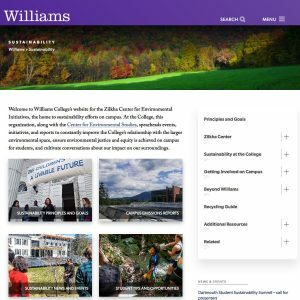 Learn more about how the new theme evolved. 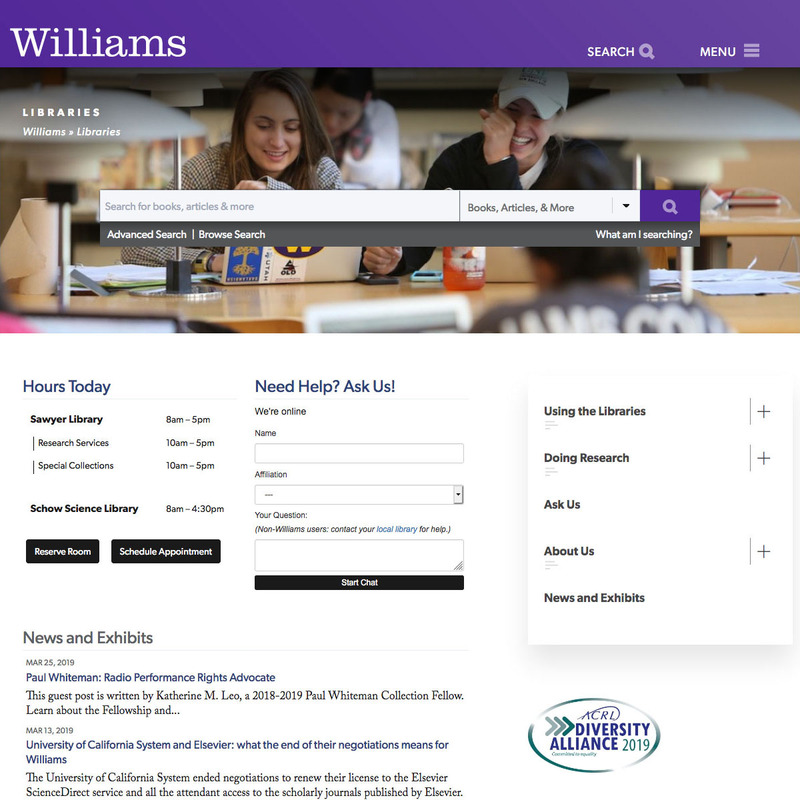 The majority of college sites have migrated to the new theme. 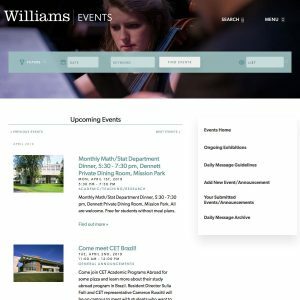 If your department is in an older theme, please contact the web team at [email protected] and we will help transition your site to the new theme — don’t worry, we do most of the work and the process only takes a few days.